Lawtopia Exhibiting at the ABA TECHSHOW – Practice Development Partners, Ltd.
Lawtopia will be an exhibitor at the 2013 ABA TECHSHOW on April 4th & 5th in Chicago. If you’re going, stop by booth 400 and say hi! We’ll be giving away lots of goodies including tablets, scanners, and licenses of Snagit. We’ll also be asking visitors to complete a short survey relating to trends in the legal industry. Follow us on Twitter @LawtopiaLLC for results. 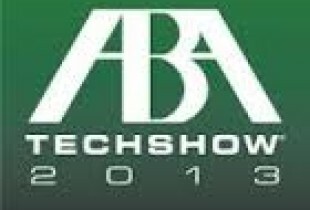 The ABA TECHSHOW is the leading national technology conference for lawyers. It brings together the best and brightest in legal technology. Whether you’re reviewing new products that improve efficiency and make day-to-day activities easier, or examining technology requirements for firms of all sizes, the ABA TECHSHOW is an event that brings lawyers and technology together in a format that appeals to both technology newbies and the techiest of techies. Follow Lawtopia on Twitter, Facebook and LinkedIn.